Linked up with friends from Peak Promotions (Christine, Robin, Jenny, and Oskar) in search of the Pumo Ri base camp. 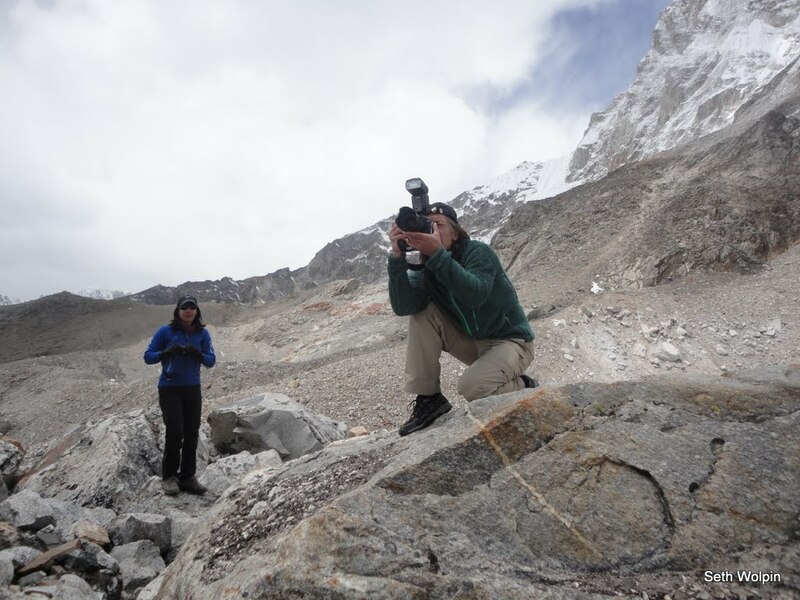 Oscar is a photographer (http://www.kihlborg.se) and was also on the first successful Swedish expedition to summit Everest in 1991. He arrived at base camp ~one week ago to lend support to Robin who will be the youngest Swede to summit if all works out well. Oskar also brought some clothing from the Swedish clothing line ‘Everest’, with plans for a photo shoot using Robin and Jenny as models. I was only vaguely aware of this as we rock hopped on what we thought was the side trail to Pumo Ri base camp. 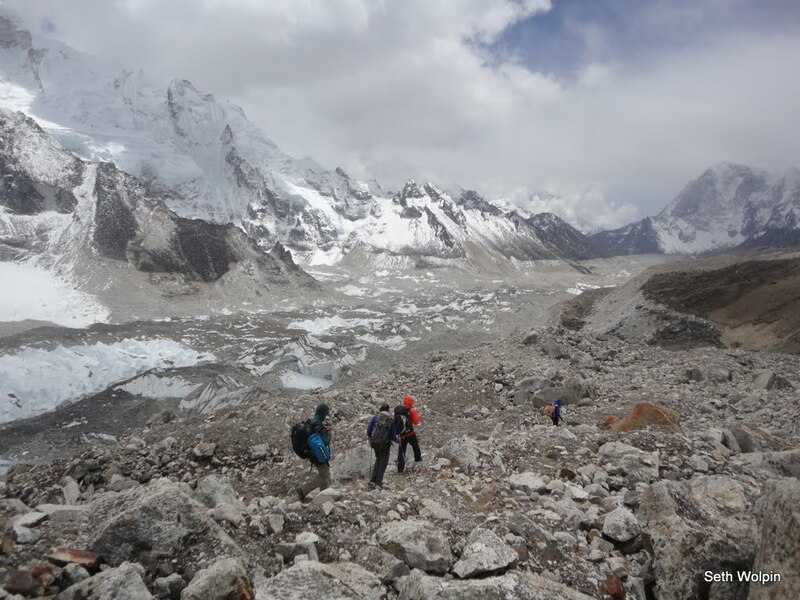 We never found the camp, but did find a nice hill with just a bit of Everest peaking out. 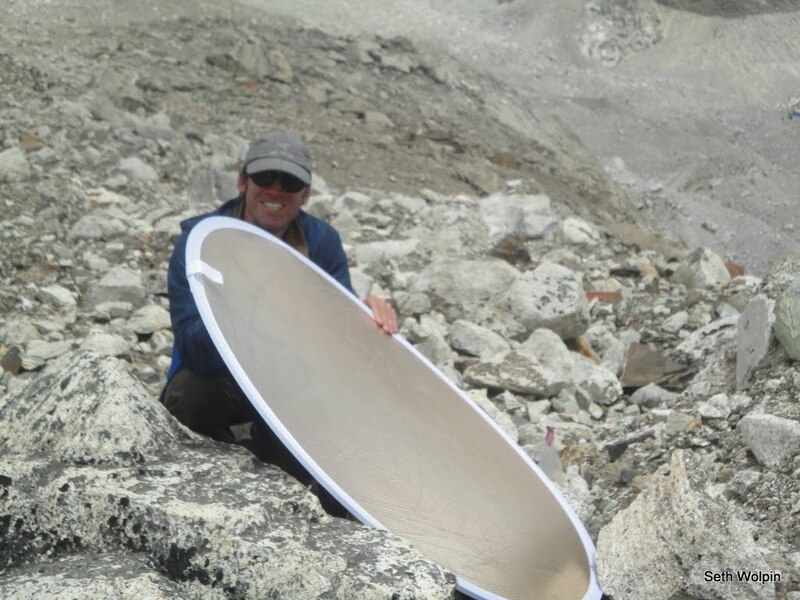 I ended up getting drafted to hold the sun reflector thingy. Lots of fun. After the shoot we rolled down to Gorak Shep for noodles. Except for Robin who is worried about getting sick from ‘outside food’ – I think he snuck in a packet of dehydrated food. It’s his first trip outside base camp and with the summit push maybe only a week away…it’s understandable he is worried about getting sick. 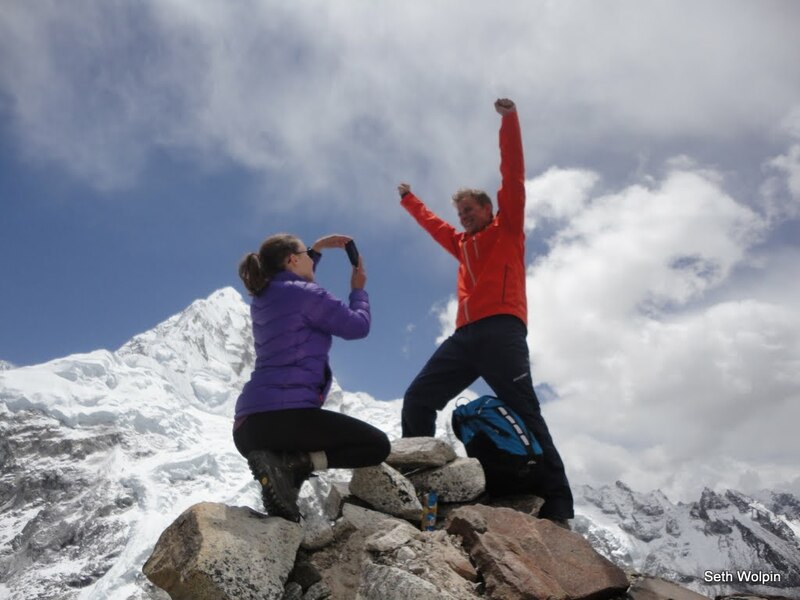 Jenny, Robin, and Oskar have taken off for Pheriche – with Jenny and Oskar continuing to Namche to meet her brother. Robin will be back tomorrow. It’s looking like next Wednesday is the earliest I could potentially head up the mountain. Damai and Kami are now at Camp IV fixing the camp. Pasang Gyalzen is trying to fatten me up at base camp. 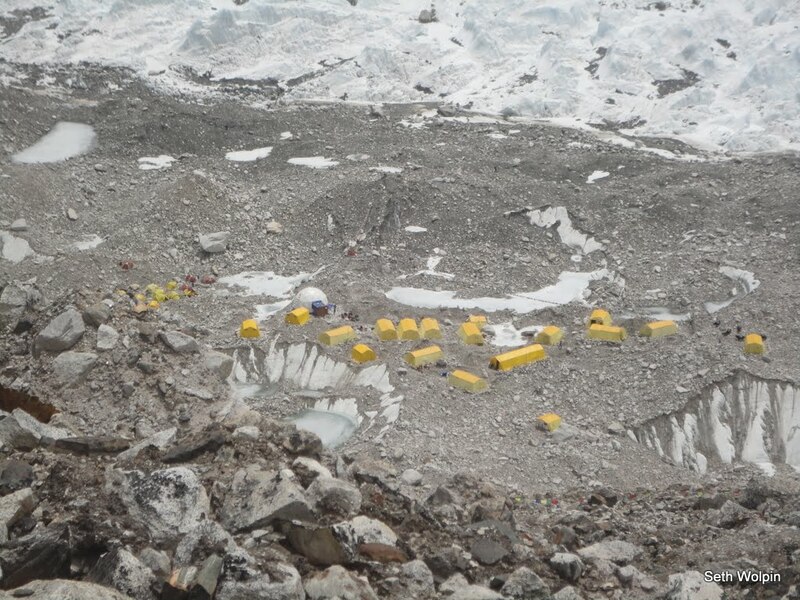 And other Sherpas are in the final stages of fixing the route from Camp Iv to the summit. Thanks to all of them. In the meantime – enjoy the fashion photos taken with my little point and shoot…. I know there are noodles this way!